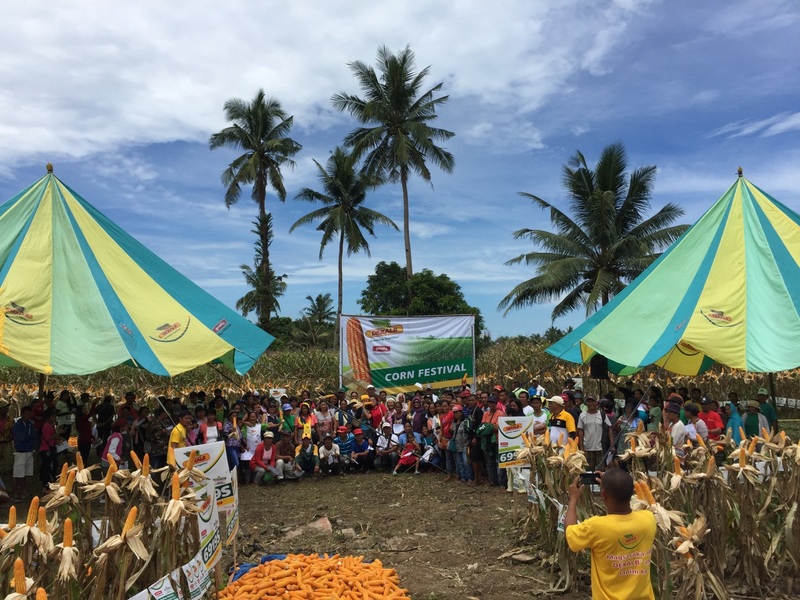 Monsanto Philippines launched this month a nationwide farmer training program, dubbed SMART Farm, meant to teach smallholder corn growers across the country best farm management practices and the latest corn planting technologies. In its first year, the program targets to reach out to over 20,000 farmers in different corn regions in the Philippines. Farmers gather at one of the SMART demo farms of Monsanto Philippines. The company’s SMART Farm program offers a 2-3 day training in a demo farm, providing farmer participants both lectures and hands-on workshops on how to sustainably plant corn. SMART Farm’s Center Of Excellence Lead John Fajardo said that smallholder farmers, who make up around 80 per cent of all farmers in the country, are often challenged with rural isolation and limited agronomic know-how, which limit their potential for increased productivity and profitability. Monsanto Philippines established 16 SMART Farms across the country where 2-3 days of both lectures and hands-on workshops will be conducted each planting season. These demo farms also serve as a shop where farmers can buy high-yielding and disease-resistant corn seed products at competitive prices. The training will be first conducted in Bugallon, Pangasinan. It will be followed by a series of trainings in other corn growing regions such as Tarlac, Cagayan Valley, Ilocos Sur, Isabela, Occidental Mindoro, Camarines Sur, Capiz and Iloilo. Monsanto’s Corporate Engagement Lead Charina Garrido-Ocampo believes that supporting farmers also translates to the growth of the local agriculture sector. “For almost 50 years, Monsanto has been supporting local agriculture by bringing a broad range of solutions to our farmers. Through this program, we aim to further sustain the productivity of the sector and improve the profitability of the livelihoods of our smallholder farmers,” said Ocampo. #TheaterPH - I Remember A Boy - A Re-Run!